The Aquarian Response 2 is a two ply head manufactured with Aquarian's multi-ply vacuum molding process that eliminates air bubbles and wrinkles from between the two 7 mil plies. 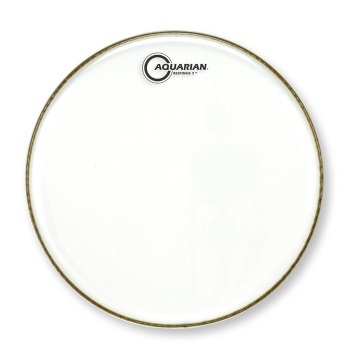 Aquarian's most versatile two ply head, the Response 2 series delivers a full sound with great attack and consistent tone from drum to drum. The RSP2 can be tensioned tight or loose and has an clean, open sound with good attack. This series works great in all musical situations and are designed for drummers who play it all.